: Do you see what we got? Do you see what we got? 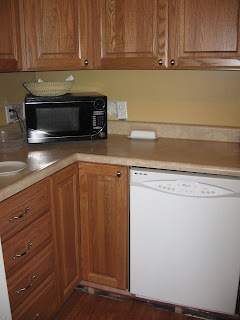 Handles and knobs on the cabinets and a DISHWASHER! I can't imagine life without one, how exciting! ooooh dishwasher!!! i remember a few months ago when i thought it would be better to do the dishes by hand, and did them like that for a week. I don't do that anymore, lol.